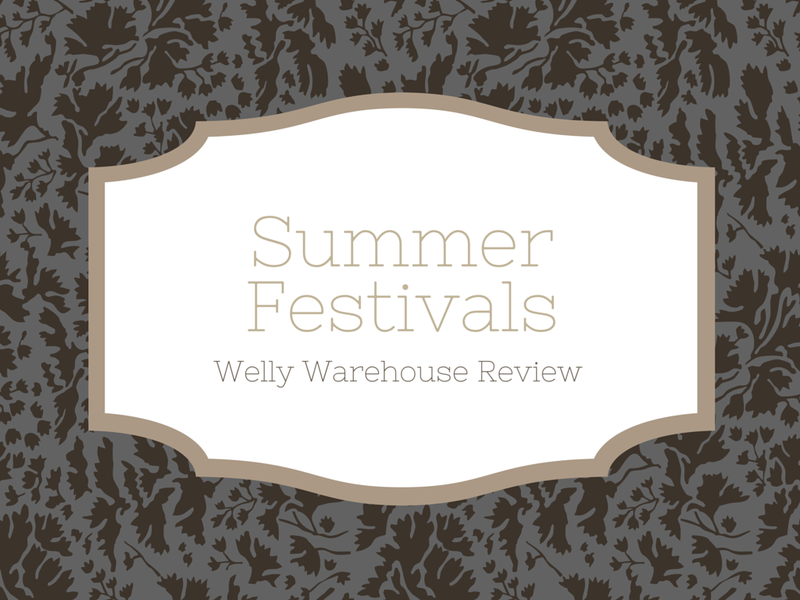 Today I have the latest installment of my festival series and we are going to be looking at a selection of wellington boots from the Welly Warehouse. I think we have all probably experienced the not so pleasurable experience of muddy fields, getting your best sandals wrecked or taking boots that were comfortable in the shop but in actuality feel like a cheese grater against your heel. I guess that's why wellies are now a staple for most people when they go to festivals. Here are my top picks from the selection on the Welly Warehouse site to hopefully offer some inspiration! First up are the Mooi En Lief Feather Festival Wellies, these look awesome with the feather detailing which is removable so you can wear them with or without to switch it up. 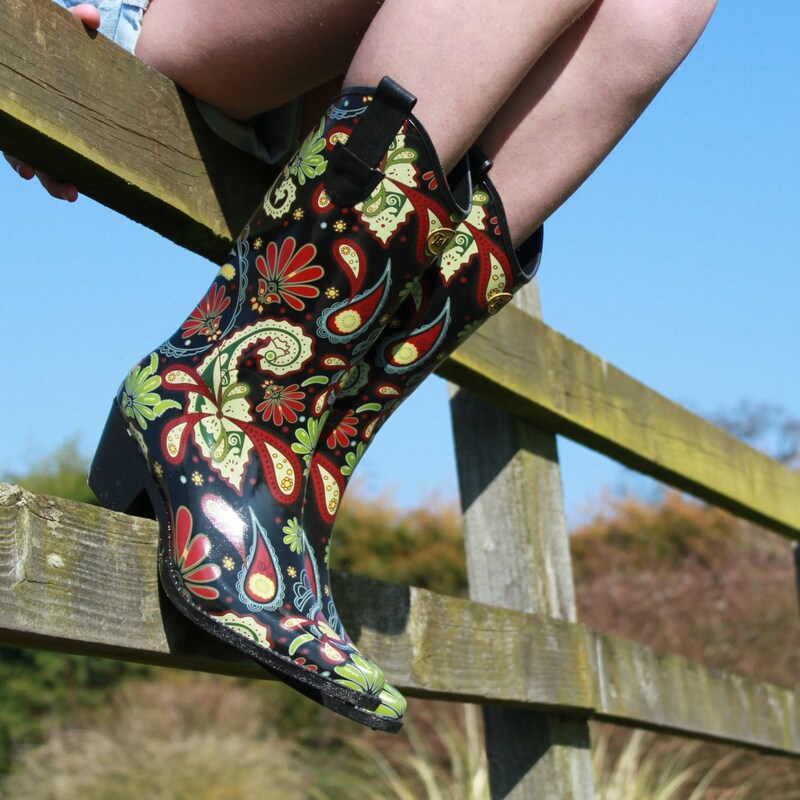 Next are these funky Talolo Paisley Vibe Cowboy Wellies, I love the cowboy boots shape and the print is so cool and boho. Here are the Dr. Martens Drench Rubber Wellies, I love the novelty of these. They are perfect for a punky, rock and roll alternative. 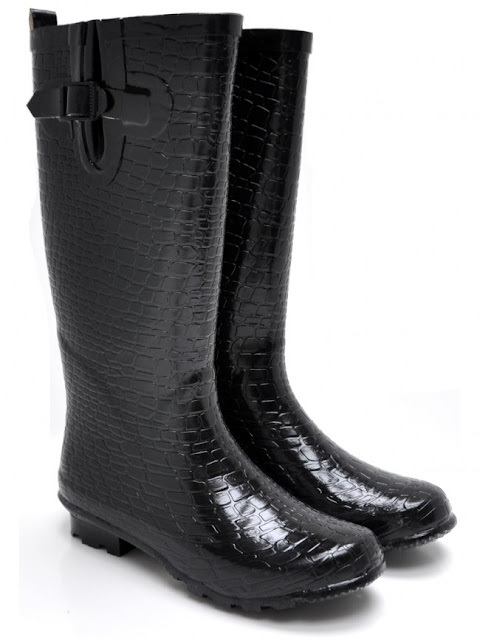 Then there are the Black Crocodile Wellies which are reminiscent of the Hunter for Jimmy Choo ones but a fraction of the price at just £11.99! Finally are the Black Zip Wellies, I was kindly sent a pair to try out for myself and hopefully attest to their quality so read on to find out what I thought. Design wise, they are a matt black and in a shorter height so fit my calves nicely without needing to undo the zips for a bit more room. They have a nice thick sole and grippy bottom, I tested them out walking the dogs and they were perfectly comfortable when navigating the overgrowth that is the field we visit. I like the red accents with the zips, while I don't undo them they still add a nice detail and the red and black reminds me of the famous Cheryl Cole fight for this love outfit. Do you know the one I mean? I've probably been wearing these now for a few weeks (while writing this, I photographed them new before they got all muddied up! ), and I've had a positive experience. They are nice and comfortable, haven't worn anywhere and are sturdy to walk in. I am dying to get myself a pair of black welly socks to go over the tops and keep my feet even more snug, I can definitely see myself wearing them for things like bootsales and dog walking on a regular basis. I hope you liked this post, I'd love to know what wellies you guys all have. Let me know in the comments below or tweet me a pic @sallywills. If you want to check out any of the styles featured above hop on over to https://www.wellywarehouse.co.uk for the full selection and some fab prices.